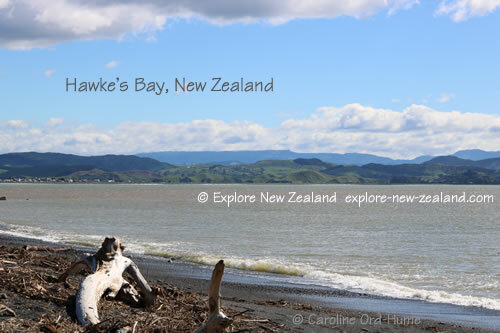 New Zealand Hawkes Bay is in the south east of the North Island and is a sweeping bay from the Mahia Peninsula down to Cape Kidnappers. The two main districts are Wairoa, through Central Hawke’s Bay, to Hastings. 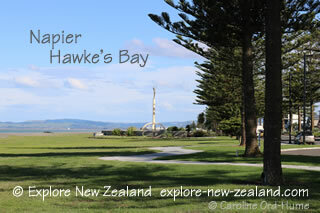 Napier and Hastings are the two biggest cities in the Bay, both of which are surrounded by Hawke’s Bay wineries, more than seventy, due to the favourable climate. 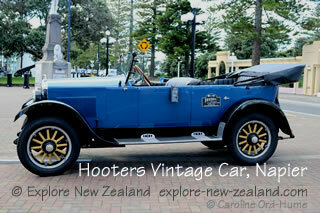 Coastal Napier is a fascinating place, Hawke's Bay’s biggest city, and known as the Art Deco capital of the world. You will see what is meant by that almost immediately. The city was devastated by a 7.9 magnitude earthquake in 1931 and much of the Art Deco architecture was built after the earthquake. Marine Parade, lined with Norfolk Pine trees, has numerous attractions along its length with Napier’s main beach along the coast side, a lot of which are listed below. Napier has a Mediterranean climate that makes it an attractive holiday destination favourite for Kiwis and international tourists. 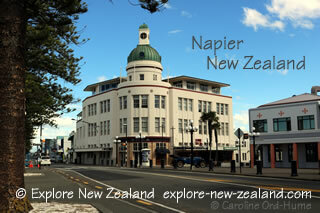 Napier is host to numerous events and festivals such as The Mission Concert and Art Deco Weekend. Hastings is just 20km south from Napier and slightly inland. Hastings gained a lot of wealth from farming and fruit growing, however, Napier’s tourist attractions beat Hastings to be the main city with Hastings being the second largest. Hastings also has many interesting buildings that were built after the 1931 earthquake. Hastings did not suffer as much damage from fire as Napier though so a lot of buildings were saved from that fate. You can get a leaflet from the I-SITE for a self-guided walk to see the Art Deco Hastings.